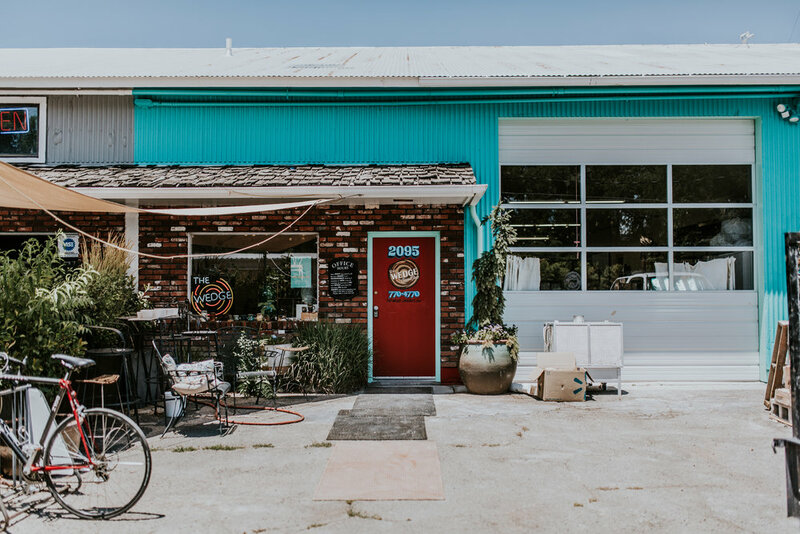 The Wedge Ceramics Studio provides a place where clay, creativity & community meet. We are an integral part of a thriving and building arts community here in Reno. We are currently home to a diverse group of over 80 ceramic artists. We offer memberships, classes and more. We offer monthly classes for newbies and seasoned ceramics veterans. Throwing classes happen Tuesdays, from 1 to 3:30 or 5:30 to 8, and hand building classes on Thursdays, from 5:30 to 8. Everything you’ll need is included. Classes are limited to 16 (with two instructors), and fill up fast, so check out our calendar and call to reserve your spot! If our regular class schedule doesn’t work for you, or you want a specific date (like your anniversary, hint, hint), want a centering refresher or want to try it for the first time, book a private! These usually last 2-3 hours and we can handle you and up to 9 of your friends. Because we don’t have regularly scheduled kids classes, this is also the way to get your child or pre-teen into clay. Everything you’ll need will be provided. Book a Private Lesson today! We offer private instruction/parties for groups or offices looking to do something a little bit different. You bring the alcohol and tasty vegetable tray (or whatever else you need to make it a party) and we will provide the clay, instruction, and encouragement. Parties generally last 2 to 3 hours, and we glaze your pieces for you. We can handle group sizes up to 20, call for pricing and to book a day. 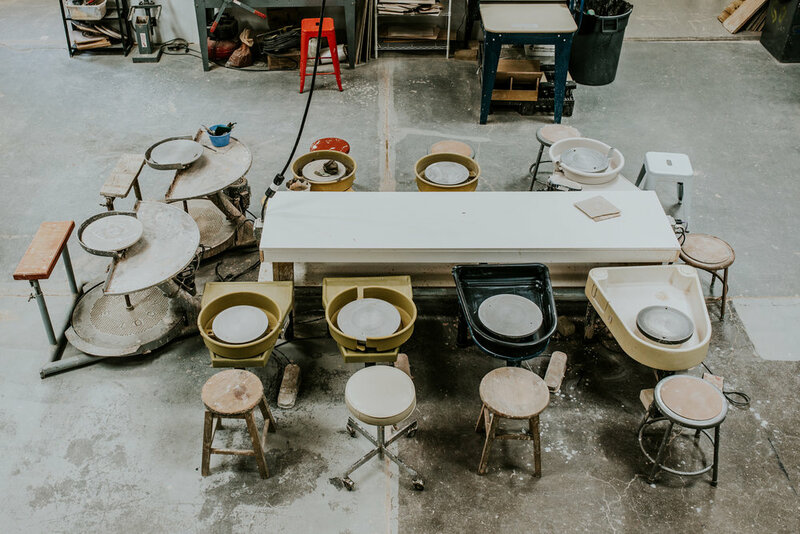 In addition to classes, we also offer memberships for independent artists which includes access to all studio equipment, glazes, firing, and recycled clay. Feel free to contact us and come visit the studio in person. More information on Memberships.